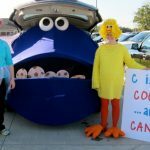 10 Fathers Day Gift Ideas - C.R.A.F.T. Hey guys! 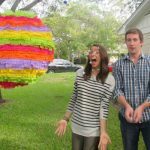 I’m Monica from East Coast Creative and I’ve rounded up ten DIY fathers day gifts for ya! These are top notch gifts that your man will actually love and use. The hardest part just might be choosing which one to give him! If your little ones can’t write or draw shapes yet, use vinyl alphabet stickers to tell dad how awesome he is on a new coffee mug. After carefully placing the stickers on the mug, let your kids go to town with markers or paint pens, allowing the artwork to dry in between colors. Next, remove the stickers to reveal your design, pretty cool right? Let the mugs dry again, this time over night, and then bake at 375 for 30 minutes to seal in your child’s handy work. See the full tutorial at Coconut Robot. This is a gift just from Mommy to Daddy! As parents it’s sometimes hard to find the time and energy to “connect” with your man. The Game of Love is a fun way to show him that you’re still head over heels for him and that even with kids, he’s still your #1.The Game of Love is a bed sheet board game that you get to customize to fit your relationship just right!Every Game of Love kit includes a fitted sheet game board, washable fabric markers, game piece/die, directions, and the coolest part… access to The Idea Vault- a collection of 100s of fun and creative ideas for you to write on your game board. Customizing your own game is easy and fun and will mean the world to your man! Still need a cool card to go with the cool gift that you’ve chosen for your guy? Show him just how popular he is in a Google search, popping up in the top spot as “World’s Best Dad”! 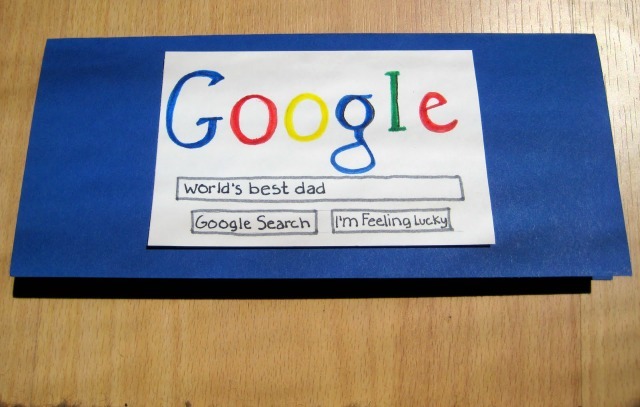 You can make and draw everything by hand the way Jamie did or print out a screen print of your actual Google search of “World’s Best Dad”, either way your guy will love this card better than any store bought one! Does your man chop wood for your fire place? My husband loves cutting wood for our house, but he doesn’t love lugging all those chopped logs into the house every time our stock runs low. Make things a bit easier for him for the upcoming fall and winter by making him a southwest inspired DIY log carrier! After you grab the tutorial from Whip Up, grab a few logs, wrap it up with a bow and you’ve scored a cute & practical gift. What guy doesn’t love cute & practical? Check out the complete tutorial at Whip Up. OK, so maybe your husband is the guy who has everything, so what do you do? Make him homemade beef jerky of course! They say the way to a man’s heart is through his stomach, right? 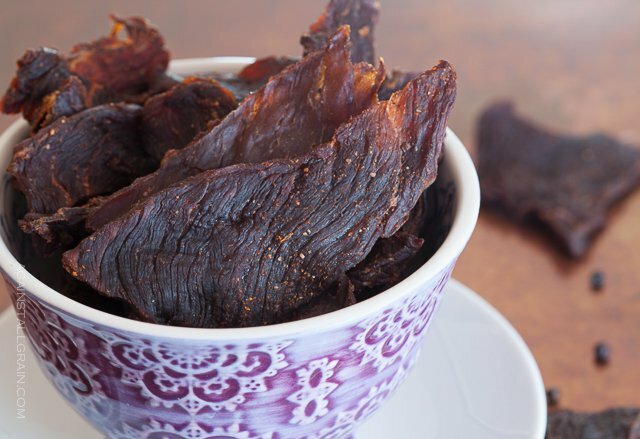 The best thing about this recipe, you don’t need a dehydrator to make it! Danielle’s instructions include an oven method, which may take more time than a dehydrator, but will be well worth it in the end. Find the complete recipe at Against All Grain. Is your guy a gamer, does he love solving puzzles and figuring things out, is he from the Rubik’s cube era? 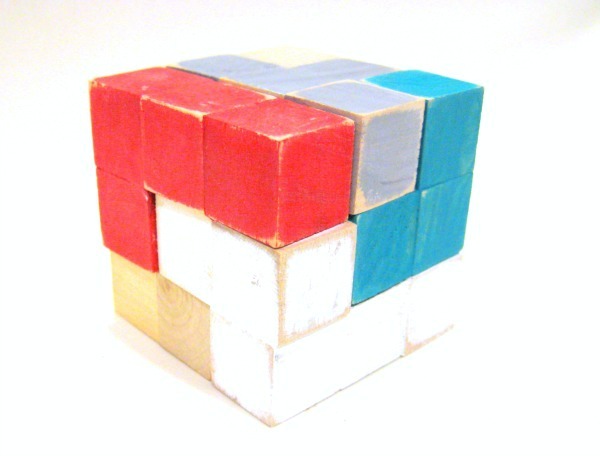 Then, this DIY puzzle cube is the perfect little gift to surprise him with this Father’s Day. Using a few items from the craft store, you can make him this rad gift for under $10…score! This Father’s Day gift might be made for him, but you’ll probably love the smell of it so much that you’ll want to use it too. He said you couldn’t borrow his razor, but he didn’t say anything about his shaving cream! Find the complete tutorial from Food for My Family. How cute are these decorative golf balls? If your little ones can scribble, then they can help with this fun Father’s Day gift idea. 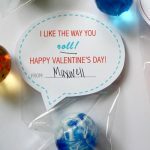 Have your older kids draw polka dots and lines or even write their names on them to make each golf ball personal and unique so dad can tell who they’re from. 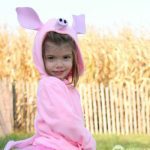 Guys love gifts they can really use and girls tend to love pretty gifts- this project is the best of both worlds! Find the super simple gold ball craft at Laughing Kids Learn. Some fellas have more keys than they know what to do with, but rarely keep them organized. 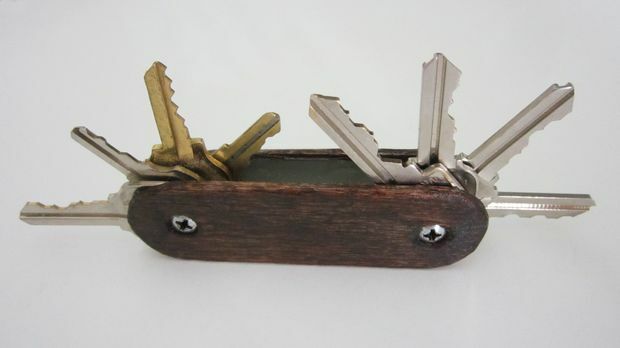 Well, problem solved, now he can hide all of those keys with this awesome DIY Swiss Army key ring that you made for him. You could also use a wood burning tool to customize it with his initials or a fun pattern. Find the complete tutorial on Instructables. This is the perfect gift for the hipster dad in your life, what could be cooler than tapping into a granite stone to dispense your drinks from?! If you and your guy love to host dinner parties, then this is a must have gift for him. Find it at UncommonGoods. 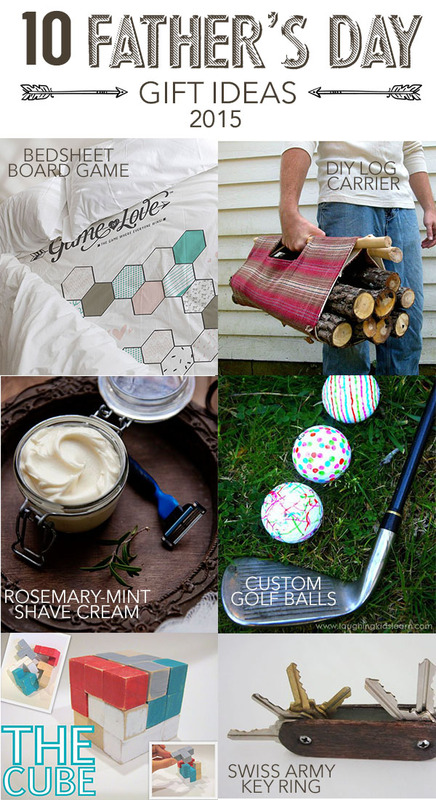 Psst… If you still need more ideas, here are 18 more DIY fathers day gifts! « What is a baby sprinkle?